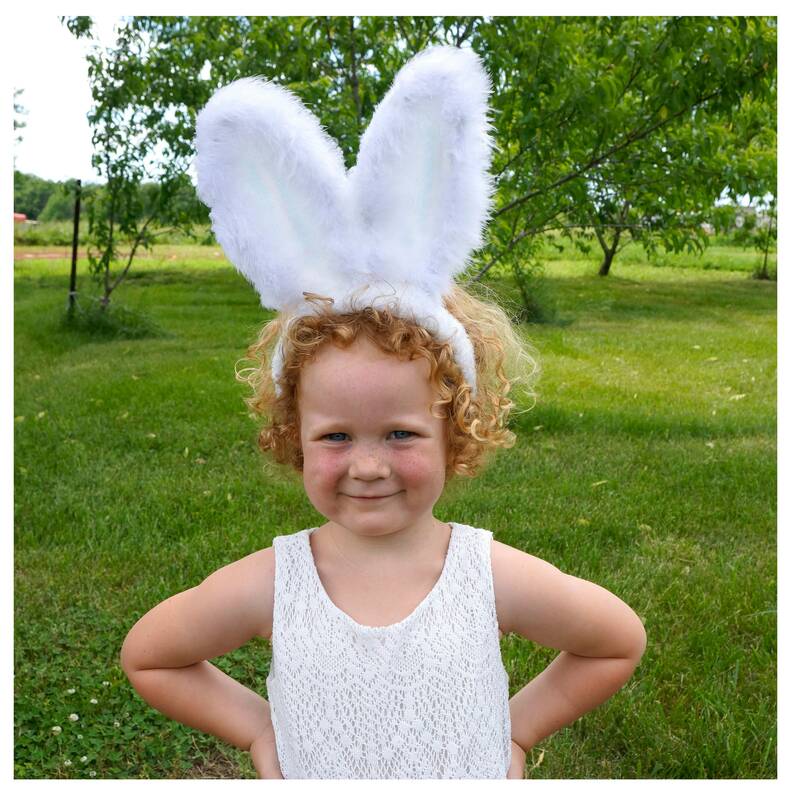 This Bunny Ear Headband is one size fits all made with fluffy white marabou feathers that extend 7-8" tall. 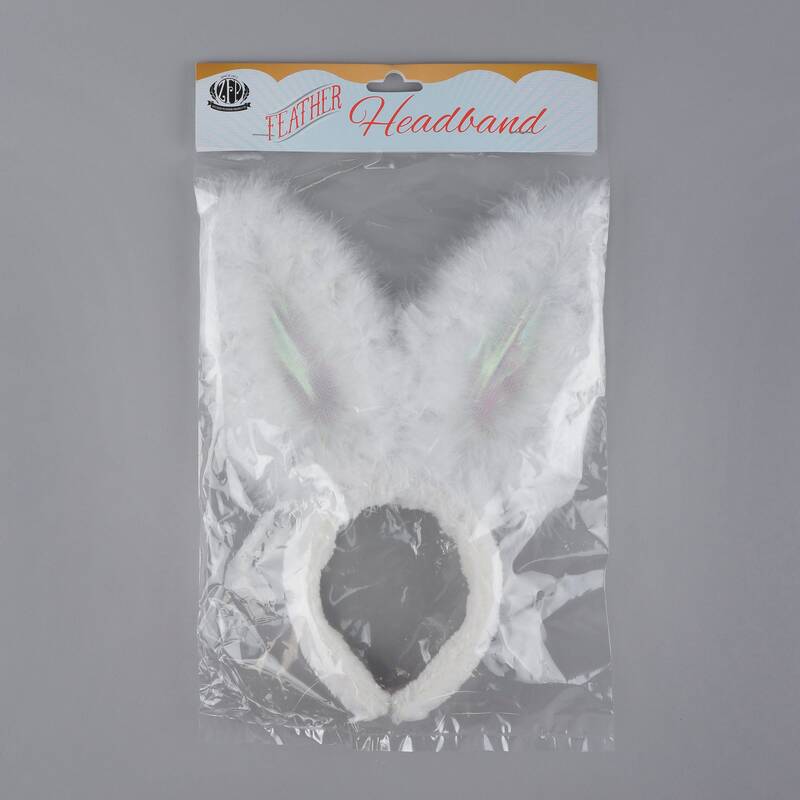 The center of the ears are made with an opalescent Mylar fabric and the headband is covered with soft white faux fur fabric that makes it comfortable to wear. 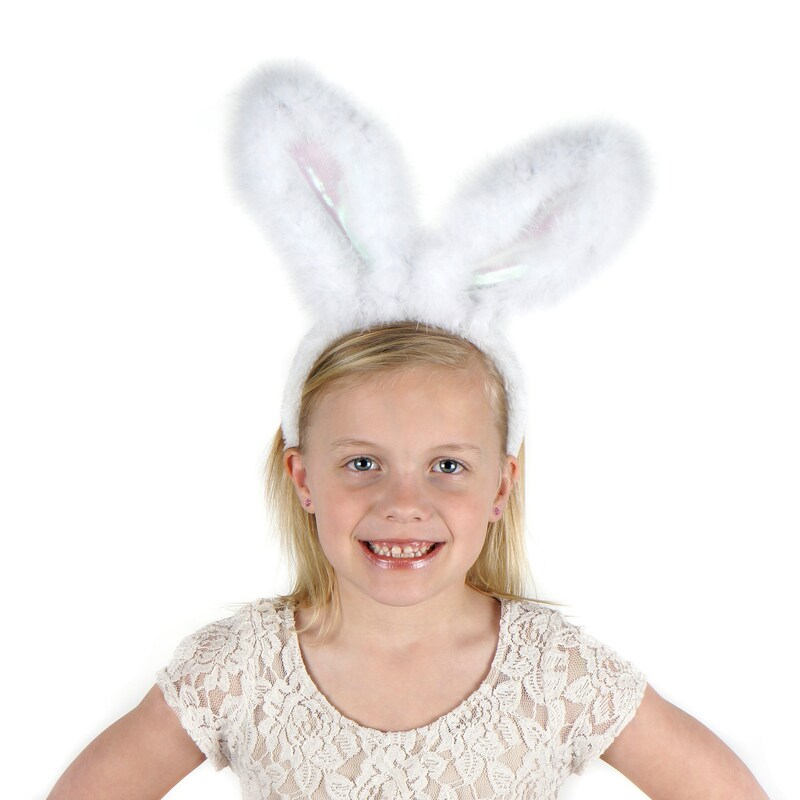 This product is part of our Feather Halos & Costume Headbands category. 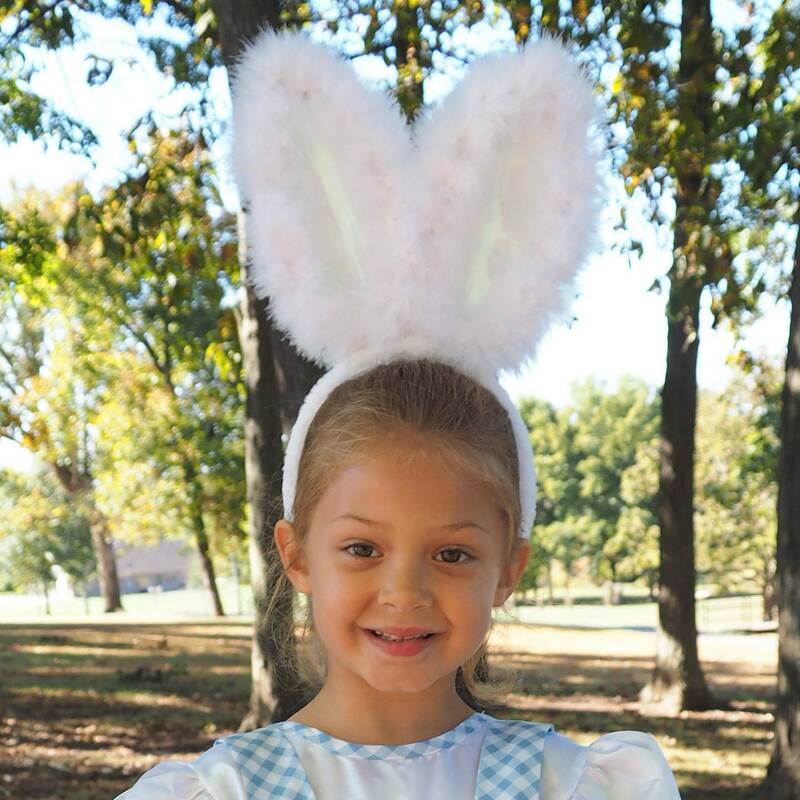 SUGGESTED USES: Costume Headbands are used for Carnival, Halloween, Party Favors, Special Event and Holidays (Easter), and more. 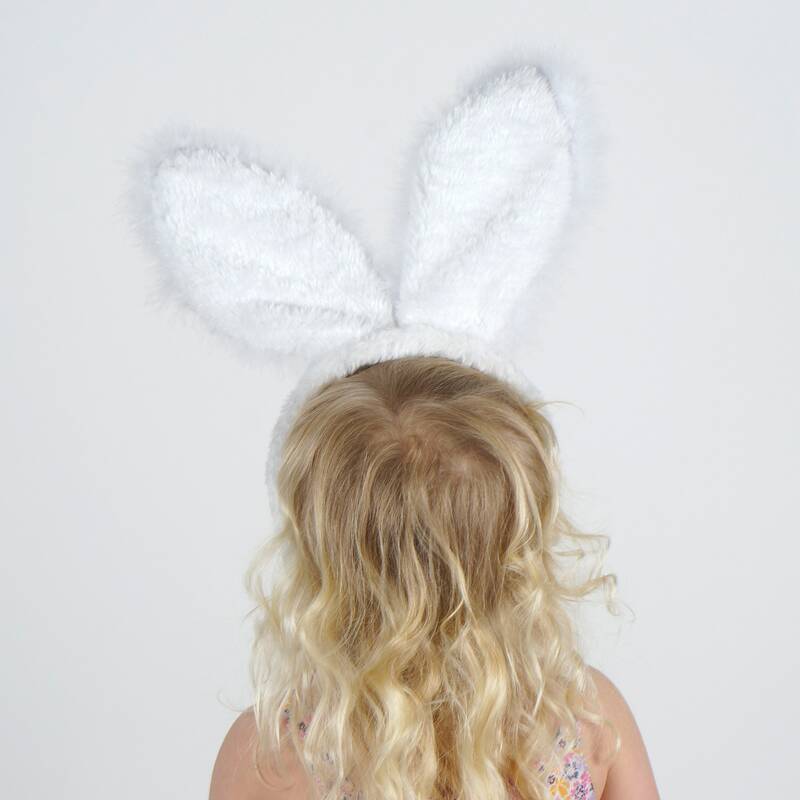 Our products are made with natural materials, therefore each item will have unique differences and variances.